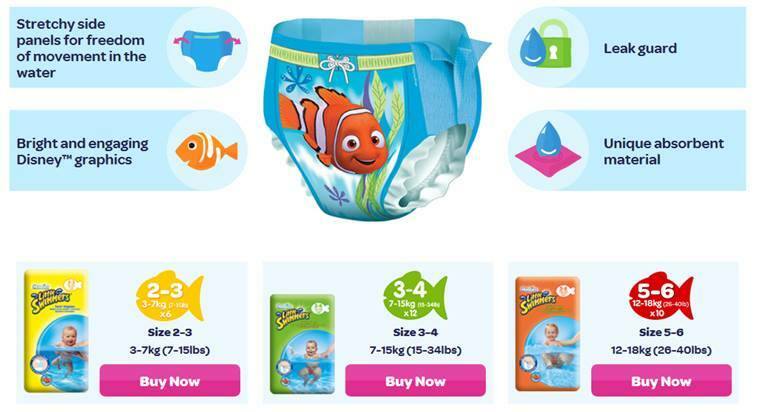 When better to take your little ones swimming than now? As you know as a family we love swimming. M took her first dip aged 6 weeks and has never looked back. We go swimming most weeks, sometimes two or three times a week, and now that the weather is turning nice and we have just bought a few water play toys we will be using them a lot in the next few months when we are playing outside. 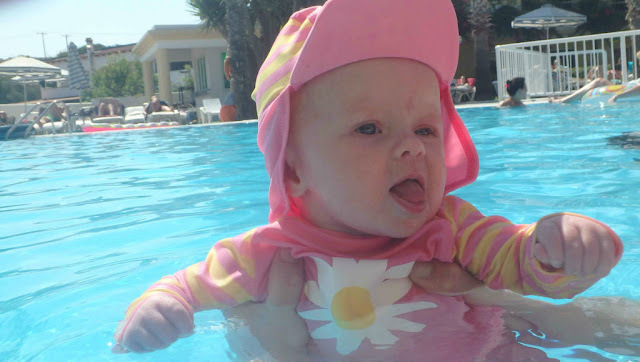 Although we live in Scotland it is predicted that we will be getting some hot weather and so we plan to take a few trips out to local locations to enjoy some fun in the sun whilst keeping cool in the water and to do that we will be packing some HUGGIES® Little Swimmers® - the UK's number one swimming nappy - we even took a stash with us when we went on our summer holiday last year to Greece. We bought a water table at the weekend and although we did not have too long to test it out I can see it will be a big hit with M and can see us stripping her to her swim nappy quite a lot over the coming months. Please sun, come out and play with us! We haven't been to this park yet but I have seen pictures from it and heard people talk about it and think it looks fantastic. If the sun comes out this week this is where we will be headed as I just can't wait to take M here. She will love it! 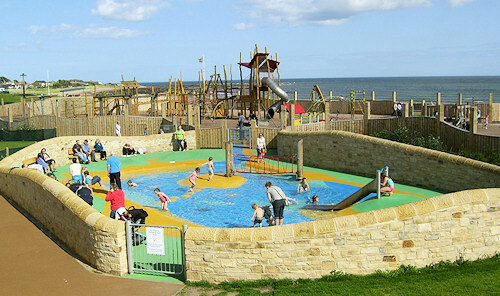 Sandy Sensations also includes an impressive play area with climbing walls, zip wire and rope bridges leading to a castle like structure offering fun for both toddlers and older children. We have visited this park a few times but the weather has been too cold for us to enjoy the water part of the park so hopefully we will get to play in the water in the coming weeks. M has been very keen to get stuck into the water but since we were wearing hats and warm coats we have't been across to that part with her yet. I will admit that me and hubby have had a play in the water area before, long before M was on the go! 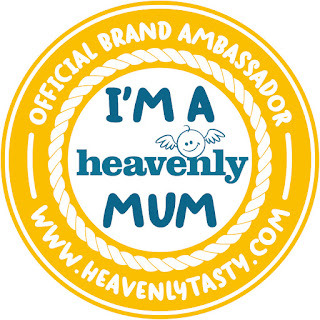 Certainly worth a visit, especially if the weather it nice! 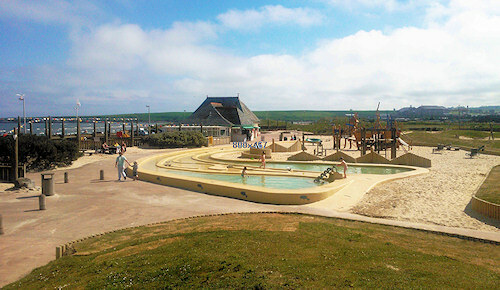 As well as water play there are plenty of climbing frames, swings and sand toys to keep your child entertained. This has to be one of my favourite places I remember going when I was young. 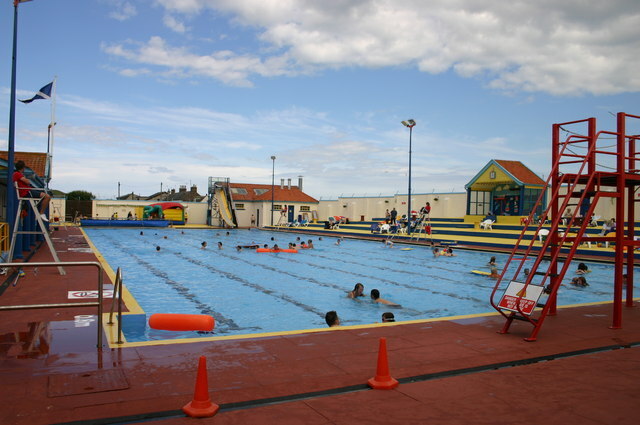 The Stonehaven outdoor pool is filled with heated salt water and is a great place to take youngster to get a real good swim in the water, whist staying safe. There is a water slide in the deep end and there can be special inflatable events. Of course having fun when in the water is great but having a swim nappy that contains any little accidents, helping prevent embarrassing mishaps, is an essential part of the swimming kit. We wear ours under a swimming costume but the nappies have bright designs on them and so can quite easily be worn on their own. Getting the on and off are a breeze - they pull on like a pair of pants and you can rip the sides of them to take them off. It really is easy and we have had no problems getting them on or off at any point since M was a wee dot and swimming.